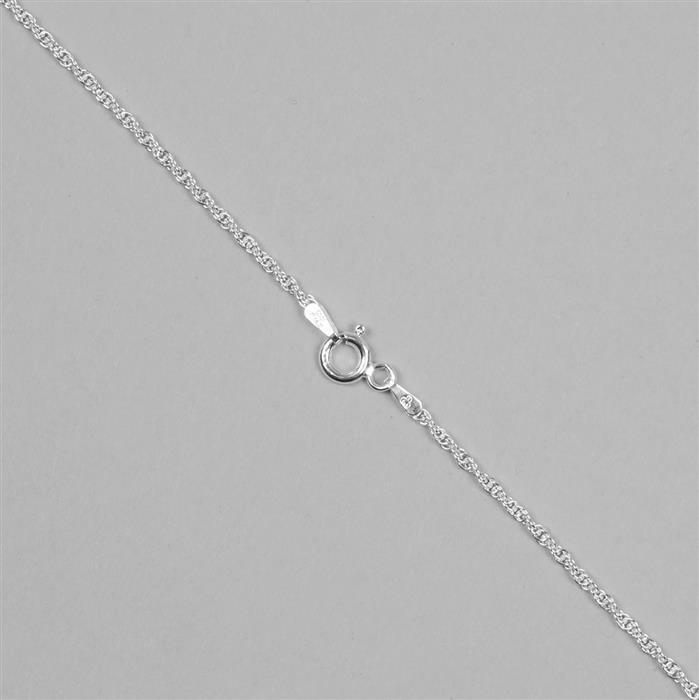 925 Sterling Silver Prince of Wales Chain with 1.8mm, 61cm/24"
This lovely chain will be a welcome addition to your collection. Love this chain it is so pretty. It broke (twice) within a week. Not a fan of this style any more. Thank you for your feedback regarding item IKIL47. We're sorry to hear that you were disappointed with this item and we are very sorry to hear that item has broken, we do apologize for any inconvenience this may have caused you. In this instance, we would recommend returning the item back to us under our six month warranty for either a refund, replacement or a credit. If the item is faulty, we would be more than happy to refund any return postage costs. Quite light and fine but great value. This is beautiful. Very fluid and good quality. I just wish there was more information on what to use when buying beads " etc " i dont know what to use,and when i rang to find out the person on the end of the phone did not know, all i wanted was some of the elastic for making braclets,or is it a strong cotton for them. i bought wire but if iget elastic what size of needle do i use.